Joseph Picard's writing projects and life ramblings including the kiddos, and life in a wheelchair. I'm now writing two books at once. I'm a hypocrite. I've spoken against (typed against) writing two novels at once, but in my defence, the case I was hardest on was a friend who was writing like three books at once, which took place one after the other, giving rise to potential linearity confusion. My two projects MIGHT take place in the same world, (I'm not decided on that... they're so far apart in any timeline that there's no reason to link them, and no reason to expressly separate them,) but they can't confuse each other. I think. I hope. I'm not writing to any target, I have no aims whatsoever of finishing a new book for VCON this year, so I'm kind of taking it lazy. Project one is the one I've previously mentioned, I think... a modern urban mystery/comedy about a man (The Serial Bleeder) who leaves artistic graffiti using his own blood, the gypsy who supports his mostly harmless aims, and the office cog who gets wrapped up with them. The other is a scifi/fantasy with a very blurry line between the two. It takes place in the far flung post-apocalyptic future, which has been ravaged by (among other things) a virus that managed to kill off all of humanity, except for the redheads. 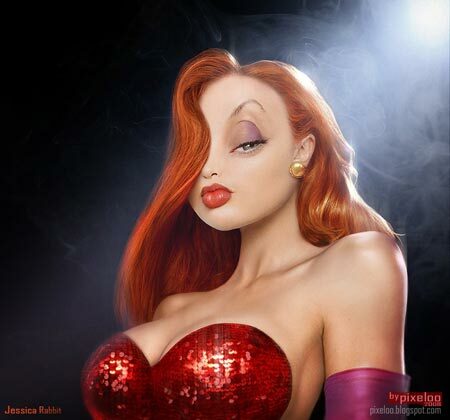 Now, do I mean, THIS kind of redhead? Or THAT kind? Given my track record, I suppose you suspect more Jessica-like results. 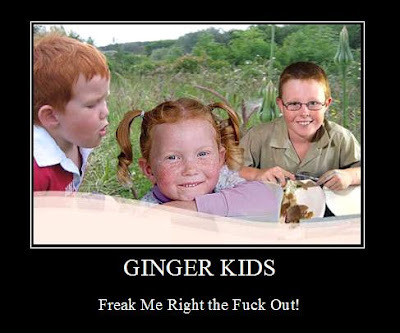 In fact, I think my worldwide redhead survivors will run the gamut. Maybe in opposing camps. The protagonist is a non-redhead character I've written about before, although the perspective of time has changed them, as experience will do. The tentative title is "The newest of the Old Ones", but I'm not 100% married to that. Excerpts from both projects may make it to the blog in the near future. Heh, Redheads. I love being a redhead now. Yay! Write me feedback, or tell me if you want to be on my list to notify when new stuff comes out! When you're done here, get on over to my webpage, ozero.ca for my books, art, wiki about the books, and a pile of other stuff...! They're so shiney... $15 each for the biggies! Go buy one of my posters! Most of em relate to my book "Lifehack", or "Watching Yute".